Submission of three papers (500 words each). A minimum of 90% attendance is required. Further reading for students to undertake after the course will be recommended by the trainer. Role of the Montessori teacher. How to support the development of the child and assist the teacher. This will also provide an overview of how the parent can support the child’s development in the home. Montessori’s framework outlining the different characteristics of needs of people at different stages of development and how we can support this. How the child under 6 learns. Includes an overview of the absorbent mind and sensitive periods. The importance of Order and Precision, with emphasis on the part Order plays in the development of the personality. Overview of the development of Movement and its significance for the child under 6. This also includes a practical component of practicing how to move in the environment and how to carry items. Overview of the development of language, also taking into account the following elements: preparation of the adult; use of language in general; the need for correct, precise, rich, scientifically exact vocabulary; how to listen to children; how to elicit language. This also includes a practical component of how to speak to children and practice with 'grace and courtesy'. Overview of the development of independence, also taking into account different levels of independence—physical, mental, emotional, and spiritual, as conditions for interdependence. The role and nature of the Home and Casa dei Bambini environments (including the physical and the intangible aspects). Understanding the concept of Freedom from the Montessori point of view and the growth of Discipline as an inner development. 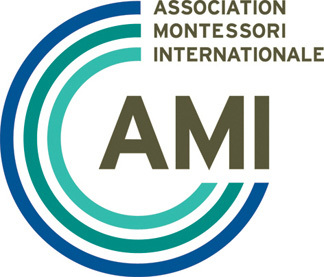 To gain knowledge of Montessori’s understanding of Freedom and Discipline. Overview of social development and how we can support this in the child under 6. Why observations are so important and techniques and ways of recording observations. 8 hours to be completed in addition to course content. Theory and techniques of music and how this can be offered in the 3 to 6 environment. Theory and techniques and how this can be offered in the 3 to 6 environment. The importance of maintaining the indoor and outdoor environment and the role of the assistant in relation to this. Introducing the techniques for making, mending and maintaining materials. Includes time for practical components.